Raising cows is a good way to earn an at-home income, provided you have sufficient space, sturdy fencing and even sturdier boots. But I have to say this upfront; I have never raised a cow myself. It's so much easier to raise chickens and pigs for meat, and goats are less intimidating to me than a cow. But I will say that if you want a homestead income, raising your own herd of cows could be a profitable way to go, provided you start small and learn as you go. 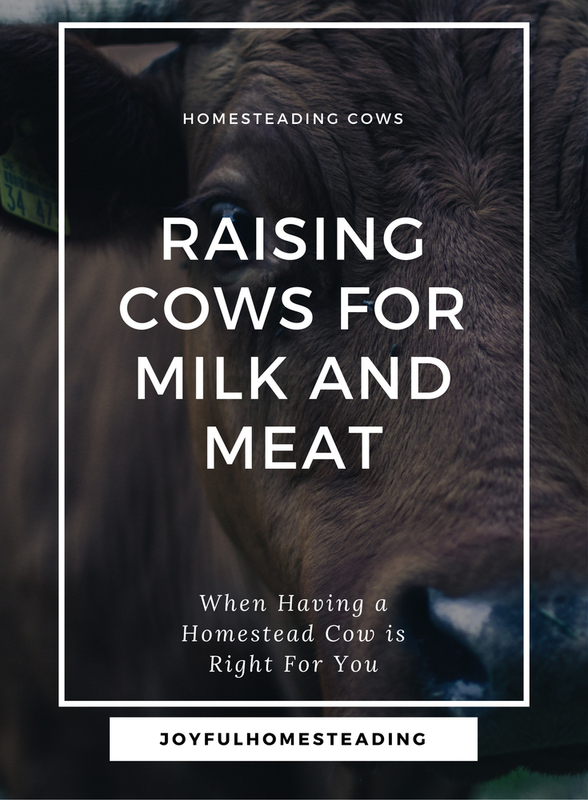 Raising cows are a good homesteading income choice because they provide an abundance of either meat or milk. A dairy cow can provide up to four gallons of milk or more per day, compared to the one gallon a large goat provides. Not only that, a steer can yield more than 700 pounds of meat. It's a lot more than many families can consume, naturally leading to a side business. Most cattle raised for meat live their entire lives in cramped lots, standing in their own filth and being fed corn, which makes them sick. To keep them from dying, they are fed antibiotics, which are then passed on to the consumer. 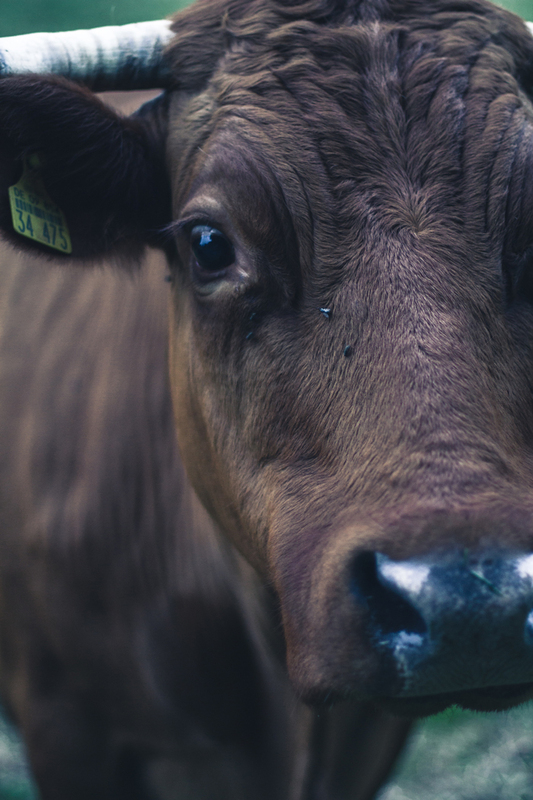 Grass-fed beef, on the other hand, is a humane way to raise beef. The cows are happier and their meat is far healthier and tastes better. Provide that kind of beef, and people will be happy to buy from you. Not only that, but more people are seeing the value of raw milk and are eager to buy it. One dairy farmer I know has a one-year waiting list for potential customers. Before jumping in and investing in a bull and some heifers (females who have never had a calf), ask yourself some tough questions. How Tied to the Land Do You Want to Be? If you plan on having a dairy herd, you will need to milk your cows twice a day, every day of the week, including Sundays. Stop milking a cow twice a day, and she produces less milk and could go dry. That means you're tied down to the homestead and your cows. Getting out of town for a vacation won't be an option unless you have a really kind neighbor or you hire help. The same is true, although on a less intensive basis with cattle raised for meat. You won't be milking twice a day, but you still need to drive to pasture every day, count heads and make sure your cattle are okay. If you plan on raising cows for meat, you need to brand each cow, treat them (or call in a vet) when they're sick and work on your fencing regularly. How Do You Plan to Market You Sales? And of course, you will need to deal with customers. The dairy farmer I mentioned spends one day a week driving more than a hundred miles to different towns to deliver his milk. The rancher I know has to haul cattle to two different processors a hundred miles apart and collect money from customers. Both of these entrepreneurs had to find customers through word of mouth and marketing. If your dream is to have either a dairy farm or cattle ranch, the best way is to work for either a dairy farm or ranch to learn the ropes first hand. If that's not possible, then start small. You can't buy just one cow, because she'll get lonely, but you could buy two male calves and raise them on your land for beef. Spend lots of time interacting with them so they get used to you. Otherwise you'll have a dickens of a time getting them on a trailer at butchering time. Plus, cows that are leery of people tend to stampede and could trample you, so work with your cattle as much as possible. Never allow an animal to lose respect for you. That darling little bull calf that's so cute the way he is trying to push you around today will become a far less cute, thousand-pound steer later. Cattle are social critters and will think of you as one of the herd, and it's in their nature to be pushy, so learn to push back early on, and make sure they understand that you're the head of the herd. Good, strong, fencing is the most important thing you will need for your homestead cow or steer. Use either barbed wire or electric fencing. With weaned calves that you plan to raise over the summer for meat, you don't even need to purchase hay or grain. Just keep them on your grass and then butcher them in the fall. Even if your acreage is small, you can still keep a couple of steers. If you have enough grass, you can allow them to forage for themselves, or you can feed them hay and grain. You will need a close source of water, and a pen to herd your cow or steer into when they need a vaccination or other care. Because they have heavy coats that protect them from the rain and cold, cattle really don't need shelter, but you might want to provide a cowshed anyway. You'll appreciate a break from the elements if you are milking, and your homestead cow will need shade when it's hot outside. There are breeds of miniature cattle available, such as the Dexter or the Mini-Jersey, but be aware that these breeds are costly: at about $3,500 per head, they are up to ten times the cost of a regular breed of cattle. Going Back to the Basics sometimes means having experiences you might once have never dreamed possible, such as your first calving experience. Mare - who likes to call herself Wannabe Farm Girl shares her story of first-time calving the (sorta!) easy way. Ready for more? Read about Mare's adventures in breeding cows. Learn the benefits of drinking raw milk by drinking raw milk.